At E3 2014 Nintendo unveiled what was then simply known as The Legend of Zelda for Wii U in the form of a 4 minute video. The first half of which had producer Eiji Aonuma discussing how the series hasn’t been able to truly recapture the open world feel of the original Legend of Zelda in 1986, and that setting a linear path through a segmented ‘open-world’ had been the approach since the series transitioned to 3D. Almost 3 years have passed since the initial E3 reveal of the next full entry into the series and after a few delays (like nobody saw that coming?) The Legend of Zelda: Breath of the Wild has finally been released and promises to deliver a truly unique and beautifully crafted open world experience. Although the narrative has never been the greatest bow in the series cap, The Legend of Zelda has a long standing legacy and well fleshed out lore that needs to be balanced with compelling and engaging gameplay. The issues facing the writing team when tackling the new open world approach would have been staggering, however the team have managed to construct an engaging narrative that doesn’t have to be experienced linearly to be appreciated. In Breath of the Wild, our main protagonist Link wakes up after a 100 year slumber with no memory of his past. Unlike some previous entries in the series the main objective is remarkably simple, save the princess who’s trapped in the big castle. Which is something that appears in your mission list very early on and you’re free to go and try to do that as soon as the games world opens up to you, but you’ll almost certainly be defeated. Instead Link must journey around Hyrule to restore the Divine Beasts and gain the strength needed to overcome Ganon and save the princess. Having this simple core objective means the narrative meatiness of game is packed into the adventures Link has exploring the world, with different areas having their own stories and issues that Link helps to resolve. In tandem with this, the game provides backstory on the events that led to the princess becoming captured in the castle and Link being left to sleep for 100 years. It kept me captivated throughout which no previous game in the series has ever quite managed in the same way. The presentation of Breath of the Wild is nothing short of stunning, the verticality of the open world gives breathtakingly remarkable vistas without having to rely on the framing of a cut scene to showcase itself. The art direction itself seems be drifting somewhere in between Skyward Sword and Wind Waker, and totally trumps them both in terms of overall satisfaction. Not being a massive fan of Skyward Swords art style I wanted to see a fully 3d ‘realistic’ looking Zelda, something more in line with Twilight Princess. I couldn’t have been more wrong, this is the best looking Zelda hands down and stands out on its own with a unique art-style, diverse range of locations, finely polished animations and minimalistic UI. The Legend of Zelda has always been renowned for its captivating musical scores. One criticism I’ve maintained about the series is the refusal the give the game a fully recorded orchestrated soundtrack throughout the entire game experience, instead opting for background midi tracks and occasional recorded tracks. I was very pleased to find that Breath of the Wild is fully recorded, which really adds to the core experience and the ambience of the game. Mastering both the subtle nuances of the peaceful portions of the open world and the immediacy of more exhilarating battle sequences, the musical sound direction is just perfectly suited and wraps up the overall presentation with finesse. For the first time in the franchise (excluding the non-canon CDI games), we now have fully voiced cut scenes rather than always relying on scrolling text boxes, although the text boxes are still going to be your main form of interaction with NPC’s. The voice acting is somewhere between acceptable and good, and perhaps stands out much worse than it should, mainly due the high bar set with all other aspects of the game’s presentation. The formula for what a Legend of Zelda game is has truly been broken with this latest entry into the series. The segmented world of Skyword Sword is firmly in the memory of the past and we’re now treated to a gloriously diverse massive open world. Not being ignorant to the open world genre, Breath of the Wild borrows mechanics which now seem like open world staples that have never been seen in the series before (such as opening towers to open new portions of the map). The world feels in one ways dense with a multitude of things to do but in another way feels sparse and isolating when traversing it, neither of these things are a negative and is a true testament to what can be achieved when time has been invested into making a vast and engaging open world. As horrified as I was at first, the typical dungeon process of ‘Find Dungeon > Find Mini Boss > Get New Item > Get Boss Key > Beat Boss with New Item > Get Heart Piece’ no longer exists. For me, dungeons were always my favourite part of playing a Zelda game and I tried my best not to be disheartened by this with my first few hours of the game. Instead we’re given dungeon like puzzles within shrines scattered throughout the map, besting 4 of these shrines will allow you get an extra heart or increase your stamina bar. There are also what I like to think of as ‘mini-temples’, temple like constructions that are larger than the aforementioned shrines but not quite up to scale of the temples of previous entries. After spending more time with this framework I can say that I don’t miss the old formula, the puzzle shrines can get really challenging and satisfy that puzzle solving itch and upon reflection spending a couple hours in an endless linear dungeon maze is just time that I could have spent exploring the vast open world making my own choices on where I want to go. The Legend of Zelda: Breath of the Wild had massive expectations placed upon it’s shoulders, being the cornerstone launch title of Nintendo’s new console The Switch and one of the very few reasons why many people would buy or have bought a Wii U, for me Nintendo has delivered on this expectation in every way imaginable. As a lifelong fan of the series I don’t want to say whether or not I think it’s a better game than Ocarina or Skyward Sword as I feel it sullies what huge achievements the series has accomplished so far. 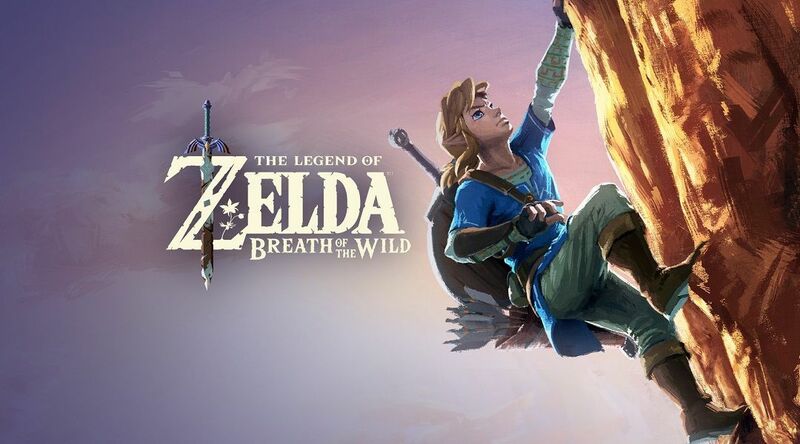 But like N64’s Ocarina of Time, I’m sure Breath of the Wild will be remembered as being another key milestone for the long running series and one that I’ll still be playing and exploring for years to come. Twisted Bard Gaming Podcast 10: Where Can Zelda Go From Here?